Tara Sullivan, director of student conduct and conflict resolution, discusses the new University Hearing and Appeals System with Senate. At Wednesday’s meeting, Associated Student Government approved funding for the Native American and Indigenous Student Alliance’s Native American Heritage Month programming. Associated Student Government approved on Wednesday its first Wild Ideas Fund request worth more than $500 for NAISA’s upcoming programming to commemorate Native American Heritage Month. ASG will allot $750 to the Native American and Indigenous Student Alliance to organize events in November. The main event will be held Nov. 22 to commemorate the 150th anniversary of the Sand Creek Massacre, which occurred Nov. 29, 1864, in present-day Colorado. NAISA also plans to make 200 pairs of moccasins to represent the people who were killed during the massacre. “This definitely fits the mission of the Wild Ideas Fund because it’s new to this campus,” said Weinberg senior Serene Darwish, vice president for student activities. NAISA, which launched in 2012, is not regularly funded through ASG. Darwish noted the organization’s past successful events were held without any ASG funding, and it is currently in the process of becoming ASG-recognized. The Wild Ideas Fund allocates funding to students and student groups on a project-by-project basis. In addition to the money provided by ASG, NAISA will also receive funding from the School of Education and Social Policy. The money from both sources will go toward paying for an American Indian Center drum group performance, joined by a Native flute player in November, and materials to make moccasins. The Wild Ideas committee on Wednesday also announced its approval of $300 in funding for the Asian Pacific American Coalition and Kaibigan, which are partnering for an upcoming speaker event. 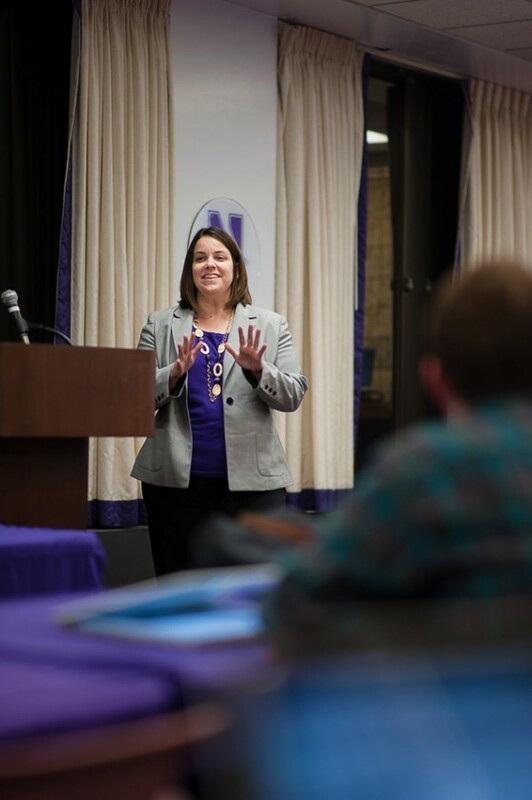 Earlier during the meeting, Tara Sullivan, director of student conduct and conflict resolution, gave a presentation on the new University Hearing and Appeals System. The new system, announced in September, simplifies how the University hears disciplinary cases, Sullivan said. Sullivan’s visit was part of her push to educate students about the procedures of new and existing disciplinary rules. During the meeting Senate also confirmed SESP senior Andrew Green as the new chief of staff. Green is replacing Weinberg junior Rafael Henriquez, who announced his plans to step down earlier this month. Senate also formally introduced legislation outlining new guidelines that would eliminate T-status student group recognition and make clearer the steps student groups must undergo to become officially recognized by ASG. The proposal was discussed last week and will be voted on next week.